Leafy greens are the cornerstone of any healthy diet since they’re exceptionally rich in vitamins, minerals, antioxidants and enzymes, yet very low in calories, fats, sodium and other toxins. Leafy greens of all kinds — nutritious spinach, kale, collard greens, romaine, arugula salad, watercress, etc. — are rich in antioxidants known to combat cancer, including vitamin C and beta-carotene (a type of vitamin A). Cruciferous vegetables are known to be powerful cancer killers and some of the best vitamin C foods widely available. Many are rich in glutathione, known as the body’s “master antioxidant” since it has high free-radical-scavenging abilities. Nearly all members of the brassica family of cruciferous vegetables are nutrient-dense sources of a family of phytochemicals called isothiocyanates that are linked to cancer prevention. In addition to isothiocyanates, cruciferous veggies like cabbage and broccoli also contain sulforaphanes and indoles — two types of strong antioxidants and stimulators of detoxifying enzymes that protect the structure of DNA. Add one or two kinds — including broccoli, cauliflower, cabbage or Brussels sprouts — to three mostly plant-based meals daily in the form of roasted veggies, soups or stir fries, or dip them into hummus or Greek yogurt for a healthy, fast snack. Additionally, many other vegetables are beneficial for lowering cancer risk, including onions, zucchini, asparagus, artichokes, peppers, carrots and beets. The ORAC scores of nearly all berries are very high, making them some of the top high-antioxidant foods in the world. Blueberries, raspberries, cherries, strawberries, goji berries, camu camu and blackberries are easy to find and use in numerous types of recipes — which is good news considering they supply vitamin C, vitamin A and gallic acid, a powerful antifungal/antiviral agent that increases immunity. Carotenoids (alpha-carotene, beta-carotene, lycopene, lutein, cryptoxanthin) are derivatives of vitamin A found in many citrus fruits, sweet potatoes, berries, pumpkin, squashes and other plant foods. (14) One of the most researched is beta-carotene, an essential nutrient for immune functioning; detoxification; liver health; and fighting cancers of the skin, eyes and organs. 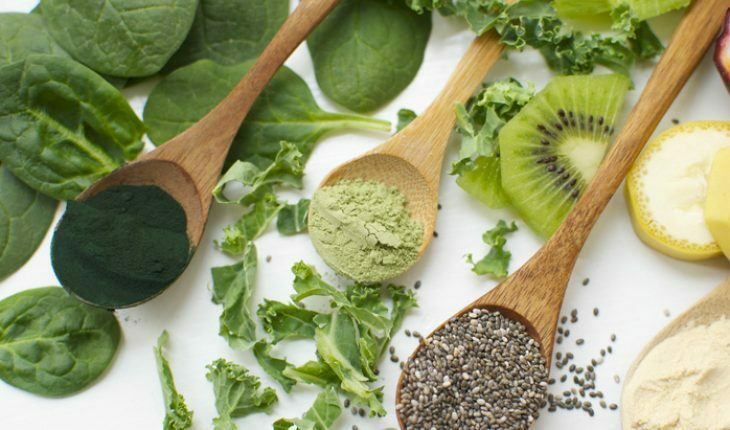 Two nutrients that give these foods their signature dark hues include lutein and zeaxanthin, which have been shown to help prevent eye and skin-related disorders since they act as antioxidants that filter harmful high-energy blue wavelengths, protecting healthy cells in the process. Turmeric, which contains the active ingredient curcumin, is one of the most powerful ingredients in an anti-cancer diet because it’s been shown to decrease tumor size and fight colon and breast cancer. Along with easy-to-use black pepper, turmeric absorption is enhanced and better able to fight inflammation. Aim for one teaspoon of turmeric powder and 1/4 teaspoon of black pepper or more daily, which can easily be used in a tonic drink, with eggs or in a veggie stir fry. You can also take curcumin supplements; aim for 1,000 milligrams daily. Refined and rancid fats create problems throughout your entire body, leading to lower immune function, cell congestion and inflammation that kicks off disease. Replace refined vegetable oils, hydrogenated oils and trans fats with quality oils, including flax oil, extra virgin olive oil, cod oil and coconut oil. These nourish your gut and promote better immune function, help you reach and maintain a healthy weight, plus flaxseed and cod liver oil contain essential omega-3 fatty acids that can help energize your cells. Olive oil contains phytonutrients that seem to reduce inflammation in the body. It may reduce the risk of breast and colorectal cancers. Nutritious mushrooms vary in terms of their benefits, taste and appearance since hundreds of mushroom species are in existence today, but all are known to be immune-enhancers and many have been used to fight cancer for centuries. (17) Reishi, cordyceps and maitake in particular can improve immune function, fight tumor growth and help with cell regeneration. Look for them in capsule or tincture form, and cook with them whole whenever possible too. According to a 2004 study conducted by researchers at the Richerche Institute of Pharmacology, higher fish consumption is another favorable diet indicator of better immune function. (19) The study, which investigated the cancer-fighting effects of the Mediterranean diet, found that people who reported eating less fish and more frequent red meat showed several common neoplasms in their blood that suggested higher susceptibility. Wild and especially small fish, including salmon, mackerel and sardines are anti-inflammatory omega-3 foods that are correlated with better brain, hormonal and nervous system health. Omega-3 fatty acids exert anti-inflammatory effects, and therefore recent studies have connected them to cancer prevention and natural enhancement of antitumour therapies. (20) Evidence suggests a role for omega-3 fatty acid supplementation in cancer prevention and reducing symptoms of treatments like chemotherapy. Omega-3s have been shown to preserve muscle mass and function in chemotherapy cancer patients and to contribute to a reduced inflammatory response resulting from the treatment’s toxicity.